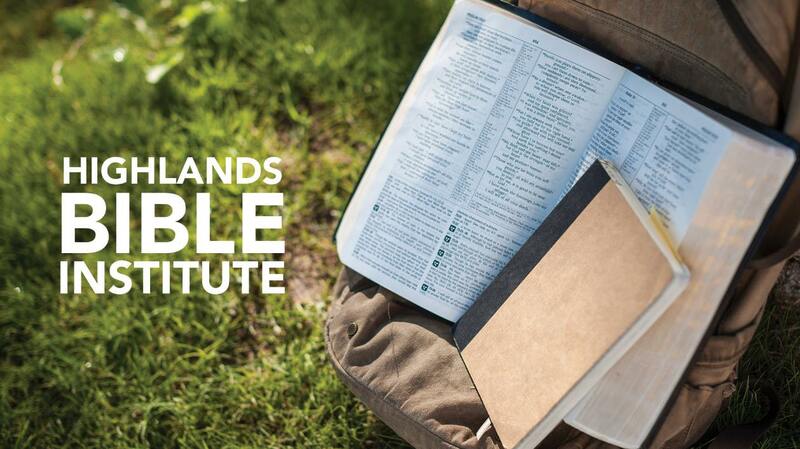 Highlands Bible Institute provides biblical training for practical ministry for anyone engaged within the local church. Join us for a 2-week Sunday morning class with special guest Nick Romig from the Bible Museum. Learn through stories and historical artifacts about how the Bible came into being, and about those who gave their lives to preserve it. This class is free and no registration is required. To view all of our upcoming online class options, please visit HighlandsBibleInstitute.org. MORE INFORMATION, CHOOSE YOUR ACADEMIC TERM BELOW! Check out our FAQ for additional information and answers to common questions. "Before the school I thought I had a good understanding of the Bible, but when I got here I really saw the difference between what I knew and what I really have to know." You can help provide scholarship funds and other program support by donating to the Highlands Bible Institute. Use the button below and choose "Highlands Bible Institute" as the giving type. Questions about the Highlands Bible Institute? Email Pastor Ed Lutz at .